To say that Nigeria is in the grip of election fever is the biggest understatement yet. I think it is safe to say that the nation is completely enveloped in election-mania and for good reason. 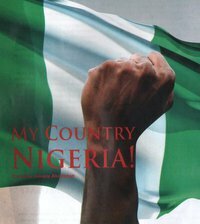 As the most populous black nation on earth and Africa’s biggest ‘democracy’ indeed all eyes are on Nigeria as it prepares for the Presidential elections on tomorrow, Saturday 16th April. The stakes are no doubt high for everyone – the opposition, the PDP led government, the electoral body – Independent Electoral Commission of Nigeria (INEC) and the electorate/citizens. These elections which will produce the next President are extremely crucial as they will make or mar, would determine the path Nigeria will take in the next several years or decades. For the opposition of which the leading contenders are General Muhammadu Buhari of the Congress for Progressive Change (CPC), Nuhu Ribadu of the Action Congress of Nigeria (ACN) and to a lesser extent Ibrahim Shekarau of the All Nigeria People’s Congress (ANPP), the main objective is to unseat the ruling People’s Democratic Party (PDP, or Poverty Development Party as many Nigerians choose to call it these days) and dismantle its hegemonic stranglehold of money and garrison politics in Nigeria. The onus on the opposition now as it has been for several months is to unite under a front and coalition produce a single candidate which can effectively challenge the ruling PDP. Despite several attempts to that effect the last one being sometime last Wednesday the alliance talks have collapsed on several attempts ranging from conflicting interests of candidates and party members and even subversive activities, inability of some candidates to set-aside their personal ambitions for collective interest to allegations of sabotage perpetrated by some opposition members and even by members of the ruling PDP. The reality is that even the Muhammadu Buhari, the candidate with the strongest support base and the best prospects of defeating the incumbent President Goodluck Jonathan in a free and fair election has a slim chance of doing so with other candidates in the picture. The alliance would go a long way in boosting his support base, and which probably explains why it is likely that the PDP actually did sabotage alliance talks as it is reported to have spent over N107billion ($700million) to that effect. For the electoral body, the onus is on Attahiru Jega, the INEC chairman to deliver credible elections in the midst of a logistical nightmare and against all odds. As Jonnie Carson, US Assistant Secretary of State on African Affairs rightly pointed out, Jega his integrity, reputation and competence notwithstanding is only one man in the face of “significant systemic and logistical challenges” who might not be able to do much in a system where the political culture is characterized by money politics, a culture of impunity and manipulation of the electoral system. However, Jega’s actions in the past few months gives hope and solace on his ability to deliver relatively fair elections despite all the odds. Even last week’s parliamentary elections which were not devoid of hitches, rigging and malpractices in several states of the federation were a marked improvement from previous elections conducted under the tenure of the widely discredited and deluded Maurice Iwu who was widely acknowledged to have conducted the worst elections in Nigeria’s history. Jega inspires hope and we are relying on his dogged determination, steadfastness, discipline and competence to conduct credible elections. Lastly and most importantly, the power to influence the direction this country heads towards at this point lies with you and me, the electorate. The person we vote for on Saturday, in this landmark and decisive elections in our nation’s history is of utmost importance. It is rather simple, if you are happy with the status-quo, the way things have been in the last 12 years – the decaying infrastructure; the rising crime levels – kidnapping, armed robbery, assassinations; the rising unemployment; abhorrent levels of corruption at all levels of government; the impunity and lack of accountability of leaders and the general sorry state of affairs, then by all means vote for the PDP and Goodluck Jonathan and let us continue to wallow in misery. If you want to give change a chance, if you want to secure the future of this generation and our children’s future, want to see Nigeria take its rightful place in the comity of nations, want to see our public schools and hospitals back to functional states; then you know who is symbolic of that change, who has the massive grassroots support and appeal, who has not based his politics on money, oppression, falsehood or intimidation and that person is General Muhammadu Buhari. In a nutshell, the stakes are high for all those involved in Saturday’s elections – the opposition, the PDP-led government, INEC and the electorate. No doubt this is a decisive moment in our nation’s history and change is imminent but the person elected or “selected” as President will determine what direction that change takes – positively or negatively. It is a moment to either choose to change the status-quo or the alternative which not only maintains the status-quo but aggravates the systemic decay in Nigeria which will ultimately not bode well for anyone. This is literally as Sonala Olumhense so rightly stated, the vote of our lives. And on a final note fellow Nigerians, as you ponder over the elections tomorrow, remember the “wise” words of one of the most “interesting” orators of modern Nigeria, Dame Patience Jonathan: “Where are you going to press ya hand…?” You know what that means. Think well, vote wisely and protect those precious votes fiercely until results are announced!! You always inspire me with your writings. Indeed tomorrow’s election is that of our lives which decides our future. I hope and pray that we get the change that we need. I am grateful for your words Zee, and we have a huge task ahead of us. We can stand up to this oppression now, more than ever we even have a blueprint to follow from our neighbours. However what Zainab forgot to mention is that network of their patronage and beneficiaries, and those misled by them is a huge huge figure despite the hardship. Come out tomoro, with food, cameras and computers. Cast your vote, collect results from all over and place it online, we could make a page even here on wordpress! We could collect evidence and have more posted to us. We could help save Buharis campaign and possible future administration. Whats the point of saying the elections are rigged if we cant have proof, and since we are the voters, we could make proof. Matter of fact, I’ll make a page right now! Thank you Ibrahim, and thanks for filling that gap you identified. Yes, that’s a great suggestion, I also told one or two people back home to take pictures of videos of what transpires or any foul play at polling stations so that we have proof of what actually happens there. Thanks for that.